These taste evenbetter than the original from what I remember. And, you can make them a-head for a birthday or special occasion when you have company coming over. Make the cookie crust – In a food processor, add the entire Oreo cookies (no need to remove the cream filling) and pulse into fine crumbs. Add the melted butter and stir until combined. Press mixture into the bottom of lined baking dish. Place in freezer for about 20 minutes to set. 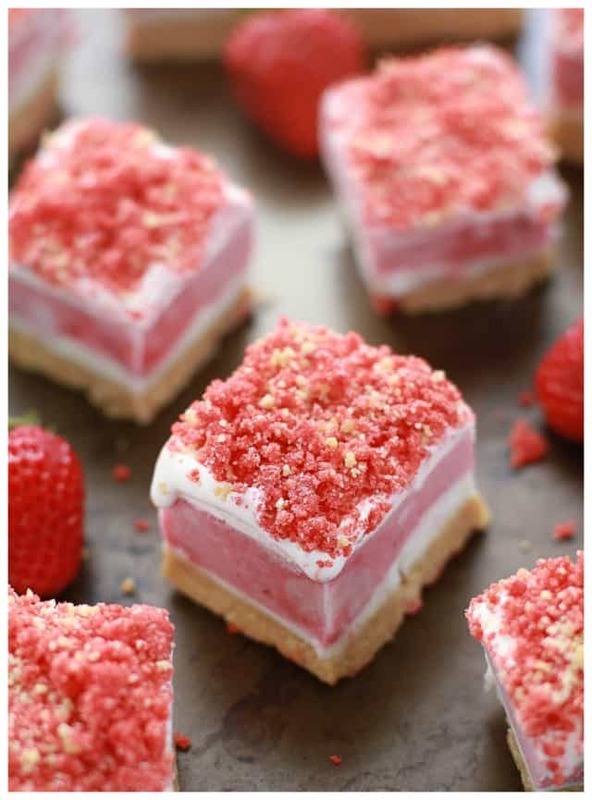 Make the crumbled topping – In a small bowl, zip-top bag or food processor, add Oreo cookies and crush into large crumbs. Mix with softened butter and press together into pea-sized pieces. 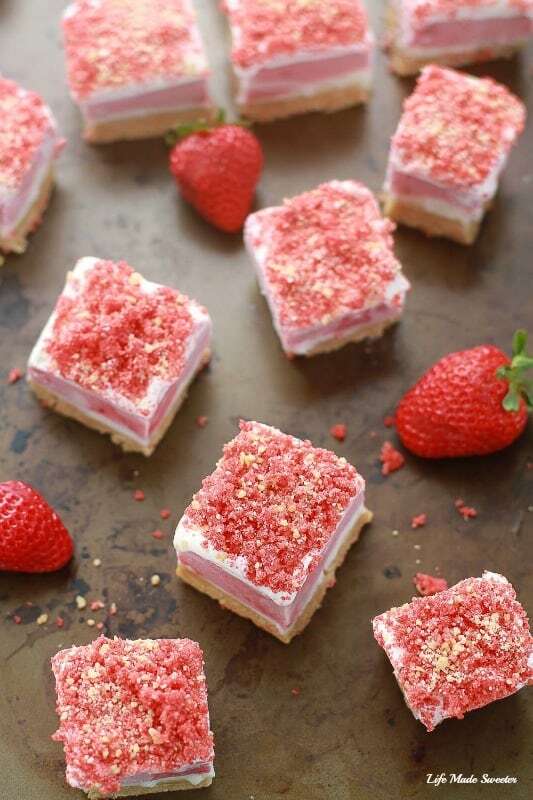 Combine with freeze-dried strawberry powder (or strawberry jello powders). Set aside. 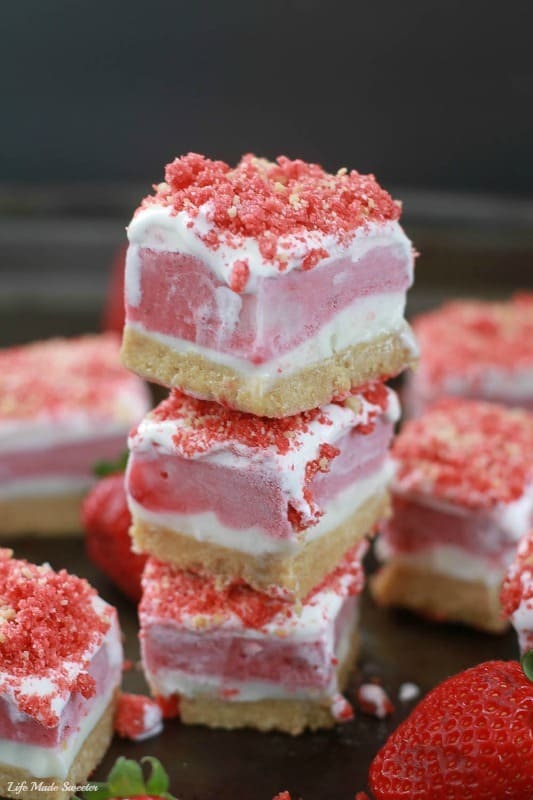 Assemble – Remove vanilla ice cream and strawberry sorbet from freezer to soften (takes about 15-20 minutes). When ready, scoop around 2 cups of vanilla ice cream over the cookie crust and spread evenly using an offset spatula. 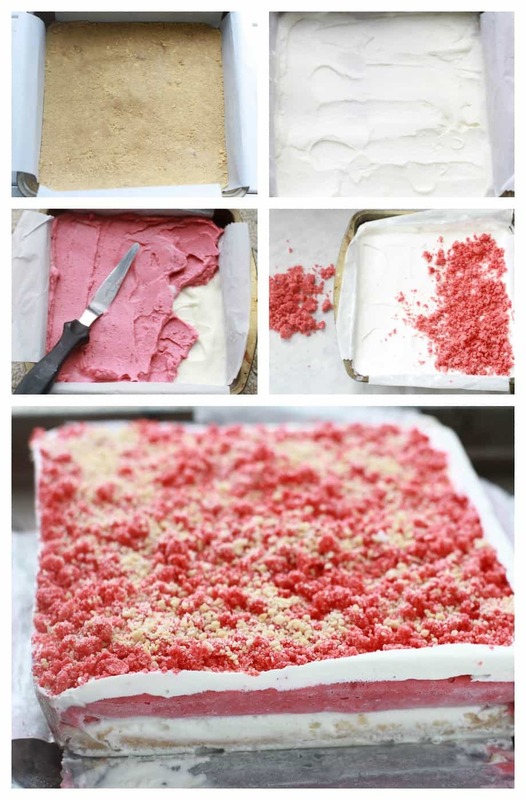 Place pan in freezer to harden slightly (about 10 – 20 minutes). 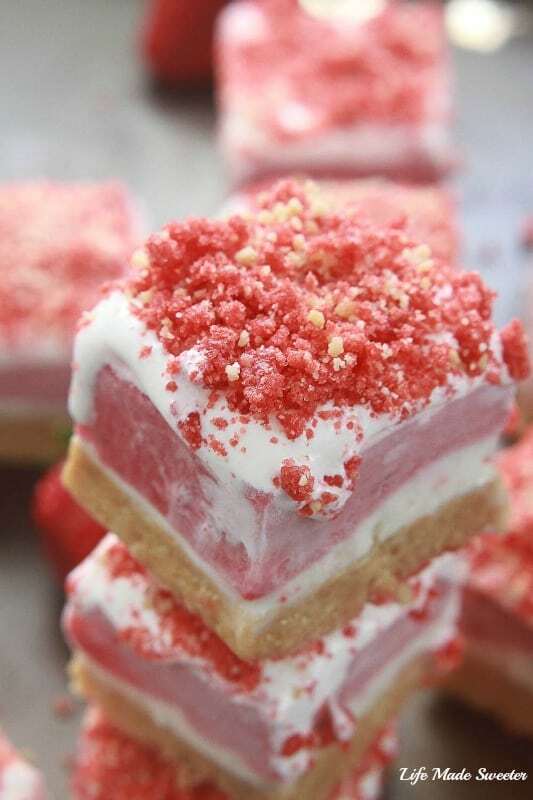 *If you can’t find strawberry sorbet, you can use strawberry ice cream and blend with 1 – 1 1/2 cups of frozen strawberries.